We conduct ground magnetic surveys world wide. 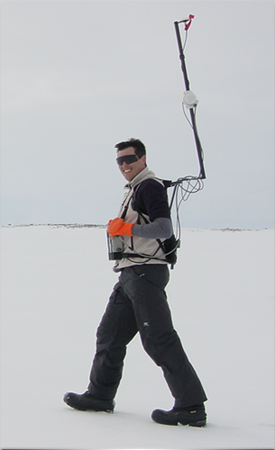 Modern Mag • Accurate, safe and reliable ground magnetic surveys. GEM systems sales. We have over 17 years experience conducting ground magnetic surveys in Australia, Africa, Canada and Russia—principally with the De Beers group of companies. High-resolution and high quality data is required in the search for diamonds, and De Beers developed world leading processes, procedures and specialized equipment to routinely obtain the best data efficiently and safely. We have taken these best practices and merged them with the world’s most sensitive field magnetometer and a degaussed iPhone. The result is an extremely reliable and light weight magnetometer capable of acquiring your data –accurately, efficiently and safely. We specialize in locating coal, mineral sands, base metals, diamonds, ground water and iron ore. Our confidential client list includes multi-national mining companies and mid-tier producers.